A VR short story game written and prototyped using Unreal Engine 4. You play an AI that must decide the fates of billions of humans by swiping left or right on particularly illuminating individuals. The nested narratives are each unreliable in their own way, creating a situation where you must make difficult decisions unaware of the costs and consequences. 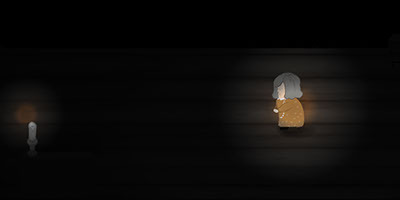 I also contributed game design and project management to a sad story-driven Zelda-clone called Elle. You play a lady alone at the end of her life as she journeys back through it, fighting through all the things that made her feel small - overbearing husbands, uncaring teachers, and a manipulative mother - and arriving, finally, stronger and undamaged at her childhood. Excerpts from four installation pieces. 2017. Exhibited at Revolution Hall, Portland, OR. Made with Unity. 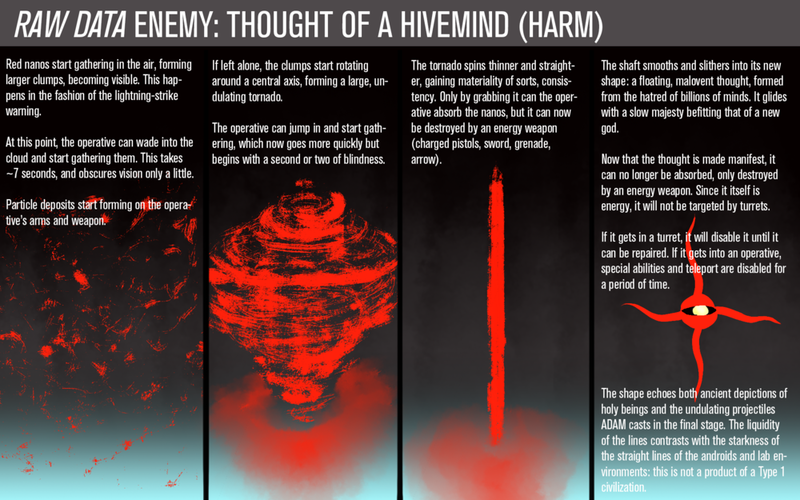 I designed a new enemy type, called "Thought of the Hivemind (Harm)" for an apocryphal DLC expansion for Survios' VR touchstone Raw Data. As part of the exercise I looked at narrative, gameplay, art, and sound design considerations, engineering concerns, and designed and scripted the introductory encounter. Download the design document here. Ryan Donaldson and I pitched OMFGCO on creating VR experiences for their clients by recreating a Serra cannabis dispensary ready for the metaverse. The demo includes working magnifying glasses to examine the bud, assorted bongs and pipes, and a recreation of Serra's iconic tile pattern. I designed speculative concepts for a new racer and course for Survios' VR-racer Sprint Vector, as well as outlined new avenues for narrative delivery within the game's lobby and existing courses. The aim of the exercise was to create high-level concepts to expand the diversity of racers and environments while remaining stylistically consistent with the existing Sprint Vector content. Download the character description, the course description, the description of narrative delivery elements, and the Tilt Brush mock-up of the course. I had the opportunity to create a fun little activity for Uncorked Agency's birthday party/housewarming party at the end of 2017. 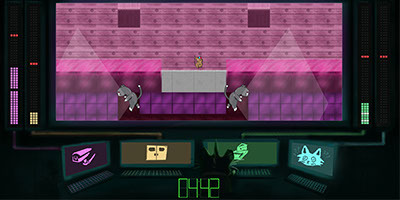 The game was projected on the wall and players could pick up Vive controllers to direct swarms of colored blocks into benign battles while the nearby DJ played chill grooves. I contributed game design and project management to a rad little two-player co-op game called Neuromouser. One player navigates an adorable little hardboiled street samurai mouse through the treacherous megacorp tower while the other player hacks the building's security from a totally kawaii decker interface. Never has fighting unchecked corporate greed been so cute.